Vestmannaeyjar (The Westman Islands) lie 10 kilometres off Iceland’s south coast and consist of 15 islands and several sand rock pillars. Heimaey is the largest island and the only one with a permanent population. 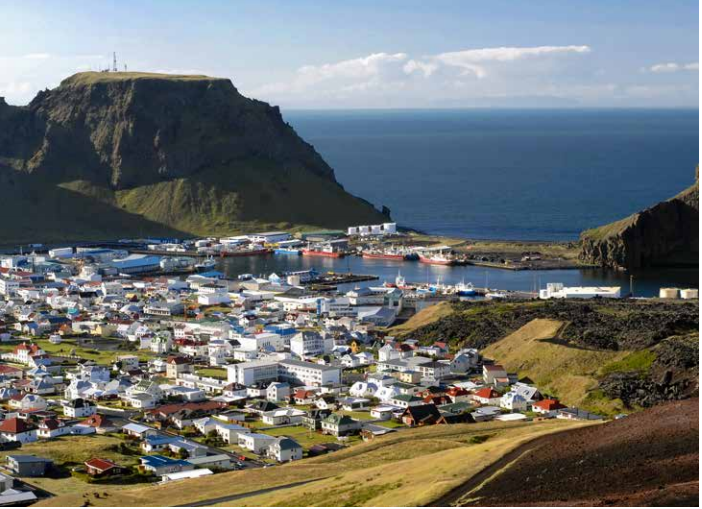 Vestmannaeyjar came very close to being permanently uninhabited. The townspeople of Heimaey had to temporarily evacuate to the mainland in 1973 when a volcanic eruption destroyed houses and changed the shape of the entire island. Quick thinking locals, fearful of the lava destroying their harbour, used cold water to divert the lava flow. Thanks to their brave actions, not only was their crucial lifeline to the sea preserved, but the harbour is now even better than before. The eruption rumbled on for five months, but against all odds, the island’s population was able to return. The town now has over 4,000 residents. Visitors can still feel the warmth of the lava running below the ground in certain places, and a fascinating project is underway to excavate some of the 400 houses still buried under ash and rock. The project, called ‘Pompeii of the North,’ aims to help visitors appreciate the sheer scale of the event, both from a natural and human perspective. In a previous eruption a decade earlier, the island of Surtsey was born from nothing. Surtsey is still the world’s youngest island and continues to be carefully monitored and documented by the handful of lucky scientists allowed to visit each year. Its history has provided the first ever opportunity in South Iceland to chronicle life’s colonisation of a new land. The results continue to be both important and surprising. 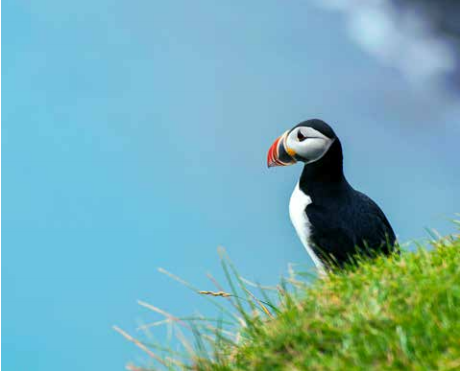 The whole Westman Islands archipelago is teeming with birdlife and provides guaranteed puffin sightings during the summer. Aside from birds and volcanoes, there is a lively calendar of cultural events on Heimaey, including the Volcano Golf Open and a massive outdoor festival at the beginning of August. 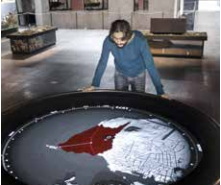 Also found on Vestmannaeyjar is the unique volcanic and geological museum ELDHEIMAR /Pompei of the North, www.eldheimar.is.